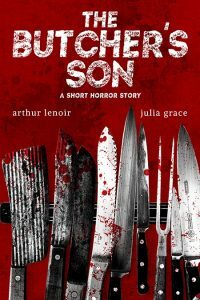 Beetiful designed the book cover for The Butcher’s Son, a short story by Arthur LeNoir and Julia Grace. “It’s about time they all eat something, GOOD”. Get The Butcher’s Son by Arthur LeNoir and Julia Grace today!